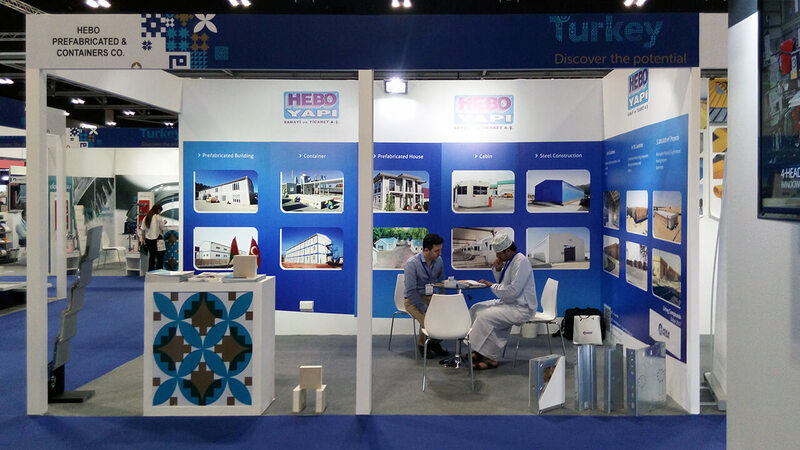 Hebo Yapi has attended to BigShow Oman in between the dates of 11-14 March, 2018. It has been 10 years in working this market and Hebo has signed many valuable projects specially in Muscat and Salallah cities. That is why Hebo had chance to meet with many of our clients and find oppurtunity to increase her market share and awareness with the Hekim Holding assurances. The visitors specially asked for un-welded flat pack type of containers. Many proposals were submitted by this system to the main constrcution companies of this country. This kind containers are practical to load and un-load as well as for assembly processes. 10 units of 20 ft containers can be loaded into 40 ft hc shipping container. That is why the cost of the transportation has decrease and become a very effective reason to buy the units. In addition to flat pack containers and prefabricated buildings, Hekim Profil and Steelin brands, which are new brands of Hekim Holding and reach very serious production quantities in short time, also attracted great interest in the fair. It is particularly welcomed that the details of the design can be met through the Steelin system in terms of production freedom; the same system was installed in Dubai and Abu Dhabi and the presentation of the buildings was made to the exhibition attendants.